Basically my problem is that when I saved my file and opened it back up again, I couldn't move any of Malcolm's eyebrows or nostrils (possibly other parts? haven't tested everything yet but his smile looks different). Someone else on this forum fixed this by updating to Maya 2015 SP6 but that didn't work for me. Last edited by fluffkomix on Fri Nov 13, 2015 2:19 am, edited 2 times in total. 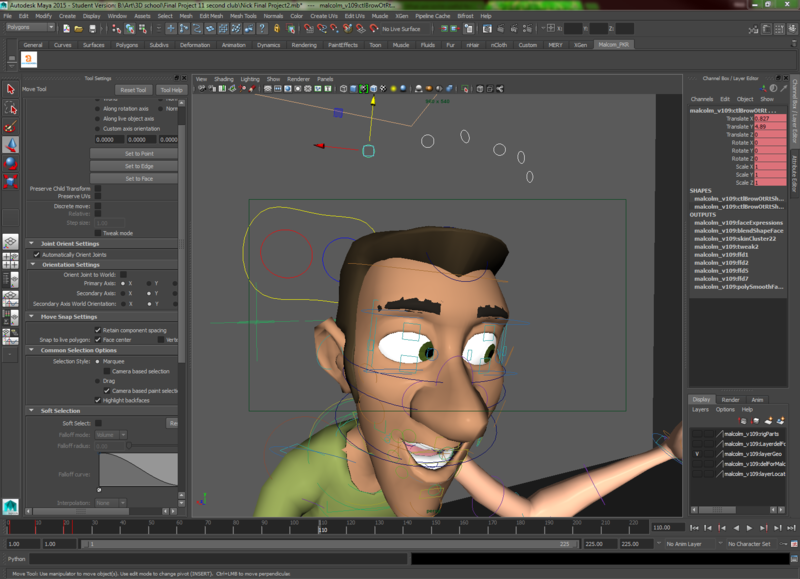 This has been happening a lot with recent versions of Maya. Did you try 2016? It may help to try to open a version that was NOT saved with the broken shapes. 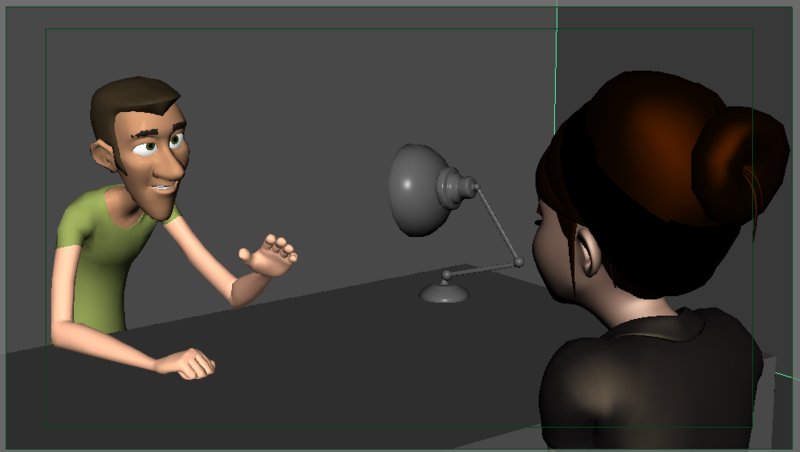 Another option is to simply export the animation and bring in a new reference of Malcolm. Import the animation back on to him. I'm avoiding 2016 because Mery gets a little buggy with that one. I'll try your other ideas this evening and I'll update you on what I find! So as far as I can tell the ATOM importing doesn't work. When I select a node and attempt to import the animation, nothing changes. Trying to open another file also has the same problem. so as a test when I imported the new malcolm (somehow 110) and saved and re-opened it, the eyebrow controls still worked. Not sure exactly what's going on here.... is there something wrong that I'm doing witht he ATOM import? I'd like to try that again! 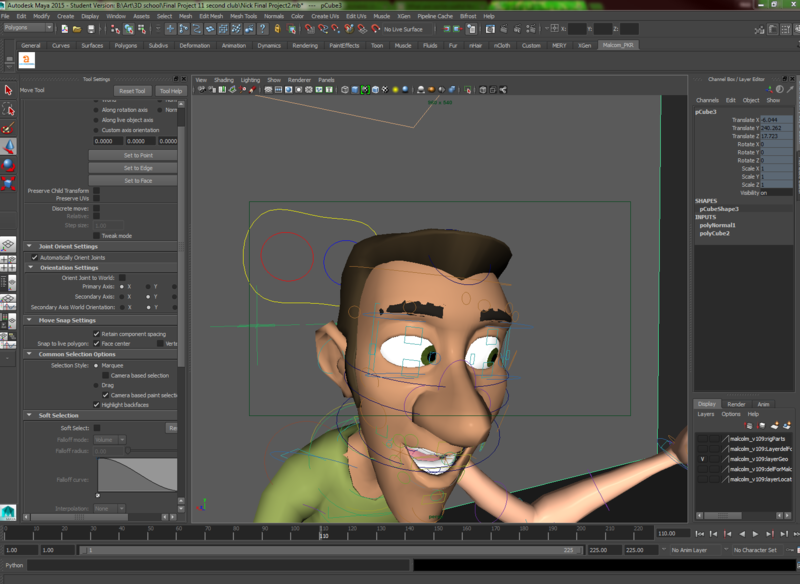 edit: Okay it's the next day and the test malcolm rig still works as it should, but now it's back to being 109 again. What the heck is going on here?? ?